"...a professional advice and with a high ethical and moral..." - Fernando Socol P.A. I am a full service real state broker as well as a certify instructor in one of the most prestigious real state schools in South Florida. I known Fernando Socol and his wife Carolina for a long while and a lot of my clients and friends, has been able to obtain theirs visas because of Fernando’s help and assistance. When you are looking for a better life and opportunities, sometimes you will face hard obstacles in the way, but thanks to Fernando’s helps we were able to develop our plans to their full potential in the US. 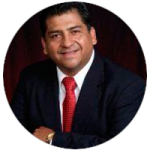 I can fully recommend Fernando and his teams to help you and assist you in your plans to live and prosper in the US. Fernando always puts his client’s priorities first and will give you the best possible legal service to help you achieve your plans succesfully in the U.S. I fell privileged to know Fernando and his family and more than willing to recommend him and his team to assist you in the pursue of your American dream.